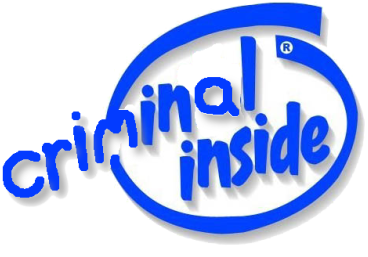 INTEL has committed many crimes (c.f. most recent example), but the European Commission limits itself — scope-wise — to looking at just one of them while Intel keeps trying to slink away. It’s very much how Microsoft handles the very same commission. Delaying tactics are so typical and characteristic of this, but the Commission is losing its cool. A European court on Tuesday rejected a request from Intel to postpone a deadline in the European Commission’s antitrust proceedings against the company. The Court of First Instance (CFI) in Luxembourg also rejected a request to allow Intel to access certain documents from Advanced Micro Devices that it said it needed in order to file a response in the antitrust case. The Commission has charged Intel with anticompetitive behavior in the market for x86 microprocessors by allegedly offering rebates and selling chips below cost to PC makers and retail stores. The investigation began in 2000 when AMD filed a complaint against Intel with the Commission. Microsoft and Intel’s affairs, especially when it comes to Linux, are not so easily forgotten. They must never be forgotten and we’ll be covering more such antitrust exhibits in the future. Speaking of regulation, Vista 7′s anti-competitive parts [1, 2] have gotten it under more fire as well. 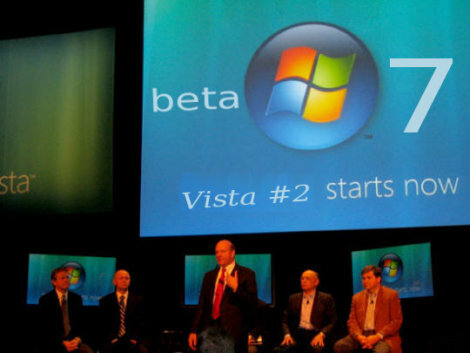 Technical advisers to the antitrust regulators who monitor Microsoft Corp.’s compliance with a 2002 antitrust settlement will test Windows 7 “more thoroughly” than earlier versions of the operating system were tested, according to a recently-released status report filed with the federal judge watching over the company. The three-member panel of computer experts that works for state antitrust officials has had a copy of Windows 7 since at least last March, but in December 2008, Microsoft delivered additional documentation to the technical committee.